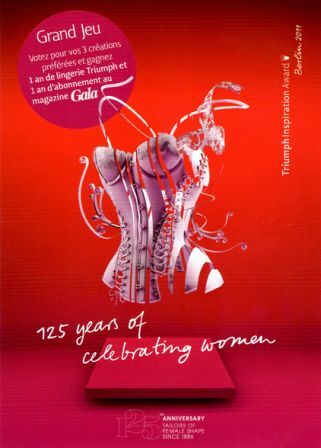 Triumph is celebrating 125 years of « corsetterie ». The anniversary is quite discreet, yet, it bets on the T.I.A. – the Triumph Inspiration Award – a competition in which the brand has cleverly woven links with the great fashion designers-to-be.